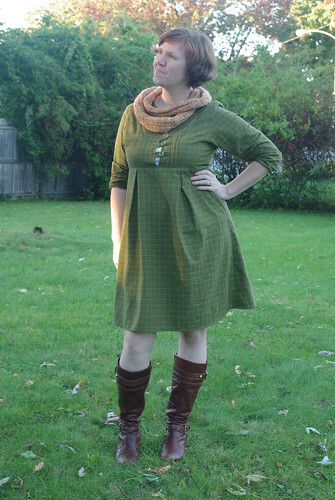 I know, it's like a disease, but I can't stop making School House Tunics. Especially when I realized that they make great maternity wear. Aside from my normal modifications (button loops, pin tucks), I added a couple extra inches to the front skirt, making the pleats deeper and giving myself some extra belly room going forward. I probably needed to make some room adjustments to the bodice, and I likely will on the next one, because of course there'll be a next one. You should probably be grateful that I purchased another Sew Liberated pattern (the Sunday Picnic blouse) for the spring/summer, otherwise, there would be no stopping the madness. Have you done any maternity sewing? 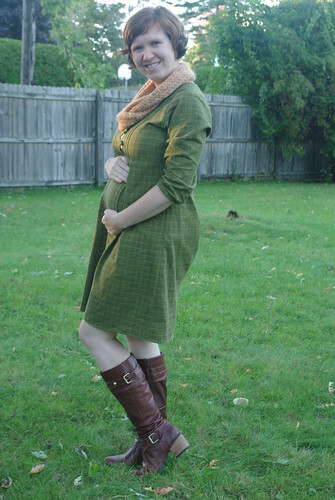 Have a favorite maternity pattern? 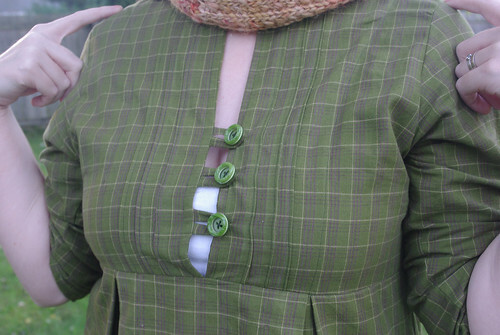 Have any standard patterns that would work well for growing bellies/pregnant ladies? Let me know!